Rather than putting the blame on ourselves for failing to be successful at that strategy, though, we can consider the fact that the problem might be with the strategy we’re using and not with us. We all have unique personalities as well as different strengths and weaknesses, and a strategy that works well for someone else might not work well at all for you. The reason why so many procrastination strategies don’t end up working very well is because they aren’t suited to your individual personality. Because we procrastinate for different reasons, finding out what your Procrastination Type is can help you to avoid the frustration of trying methods that aren’t helpful for you. Most of us have one main procrastination tendency that keeps us from getting things done, but we may also have a combination of procrastination types depending on the situation or on the project we’re working on. 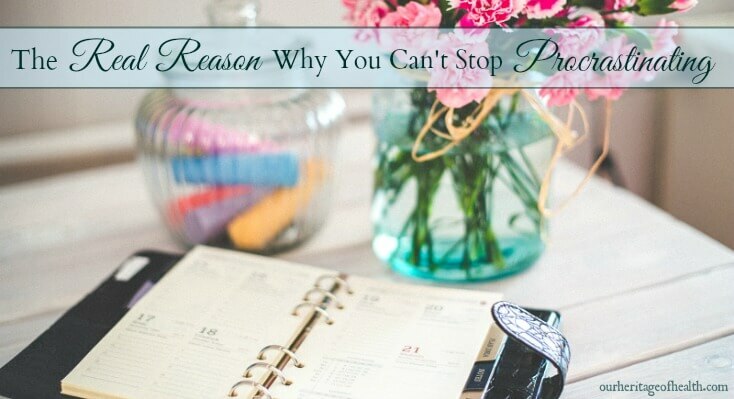 I’m usually a perfectionist procrastinator or an overwhelmed one, but every once in a while I procrastinate because of being unmotivated or unprepared. Now that I know what my procrastination tendencies are, though, I have an awareness of why I’m tempted to put things off till later and I’m able to use the right strategies to keep me focused and productive. 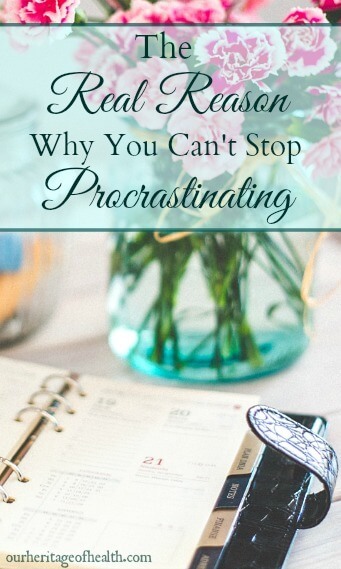 Since it has been so helpful for me to realize why I procrastinate and to use strategies that are suited to my procrastination tendencies, I decided to write a book so that I could share what I learned with others, too. 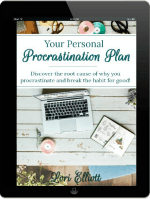 My new book is called “Your Personal Procrastination Plan: Discover the Root Cause of Why You Procrastinate and Break the Habit for Good!” And its main focus is on helping you figure out why you are procrastinating in the first place so that you can break the habit and get more things done. Once you know what your Procrastination Type is, you can use the strategies in the book that are designed to be helpful for your Type, and you can use your awareness of your natural tendencies to help prevent the procrastination cycle from happening in the first place.